A few facts to give you a better idea why sustainability is at the heart and center of the Akoma Mission. Fashion is the second-most polluting industry in the world, right behind oil. To understand the full impact and carbon footprint, one must take into account the full lifecycle of clothes—everything from growing textile fibers and making fabric, dyeing, moving materials, manufacturing, packaging, shipping, garment care, and even recycling clothes when you’re done with them. The fashion industry is also one of the biggest consumers of water. It faces many challenges regarding wastewater management because processing raw materials and manufacturing clothing consume extreme amounts of precious H2O. These fact are almost impossible to grasp, and finding a solution can feel even more overwhelming. However, as a producer and consumer alike we are responsible for the choices we make; these are not just aesthetic decisions, these are evocative life choices. Sustainability is the crux of our values; it is no longer optional, it is inevitable. We all need to be mindful of our global environment. Being a sustainable company means working with new and evolving materials, challenging traditional ideas and processes but also investing in quality. The origin of our products, as well as the stories behind them, remain front and center. It is key to reveal where things come from and how they were made; we believe this approach is beneficial to all. We work closely with different partners throughout the African Continent and Latin America, specialized in handmade productions — the most eco-friendly way to produce. We have partnered with the TO BE WORLDWIDE Foundation because we believe that education is an irrevocable right for all. 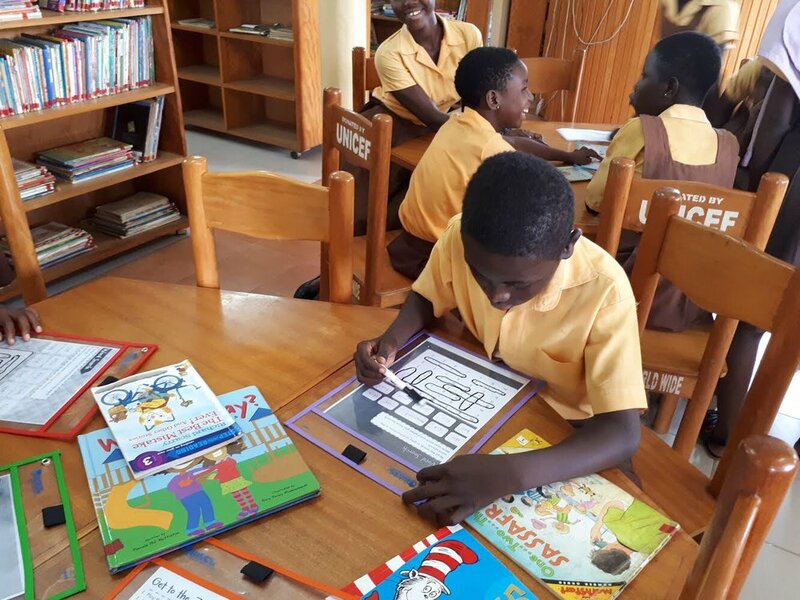 To Be Worldwide has built an Educational Center in Takoradi, Ghana that is transforming how children learn, think and feel about themselves and their community. They have chosen to focus on enhancing a child’s basic education with the window of possibility. At To Be Worldwide’s Education Center, children may participate in a creative or skill building activity, read and write in the library, or take a computer class – all in an effort to help them discover who they are, what their talents are and who they can become. In this way, each child can contribute as they grow up to make their own community a better place to live and work. In addition to the To Be Worldwide after school program, the foundation is teaching classes for local primary schools; more than 700 children – ranging in age from 6 to 16 – come to the Center during school hours to use the library and the computer lab. We have committed to donate 5% of our proceeds from all our Kente sales to the foundation.